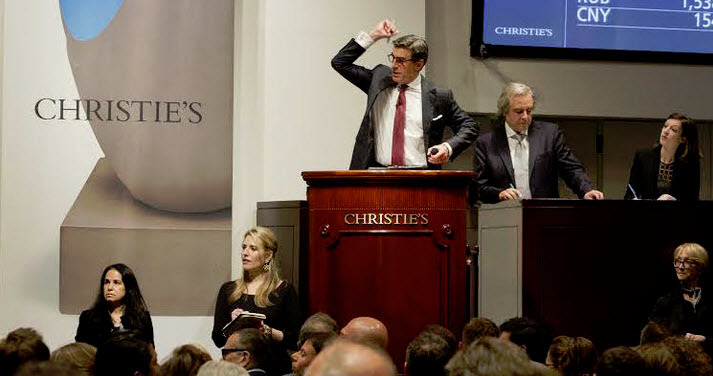 Even in its reduced state, the current week of auctions in New York has resulted in slightly more than $1bn in sales. This season’s gigaweek was accomplished not by the addition of special sale but by the combination of Impressionist, Modern and Contemporary markets into a single weeks of sales. Will the outcome be sales line-ups that merge the categories and featured evening sales that set the tone across categories and day sales focused on specific sub-markets? Possibly. Or this week’s sales could be a reflection of a broader cautiousness in global markets for real estate, financial products and commodities. Asian bidding seemed strong on the phones, especially for the Hepworth and another Monet. At the press conference after the sale Jussi Pylkkanen, Christie’s global president, put Asian buying at around “20% by lot”, the same as the auction house’s earlier sales in the week. After a rough go at Sotheby’s on Monday evening, when four of the eight Pablo Picasso works failed to sell, the atmosphere changed for the better on Thursday, with all nine at Christie’s selling, including “Homme assis” from 1969, a late and richly colored Mousqetaire swordsman outfitted in a yellow doublet, which sold to international dealer David Nahmad for $8,005,000 (est. $8-12 million). 2. NEW YORK n all of the talk about the Spring Contemporary art sales where many commentators focused on the 90% drop in Christie’s curated evening sale or the weakness in the Impressionist and Modern art market, not much has been said about the drop in sales volume for the three major houses Contemporary art day sales. These sales are the live blood of the art trade where dealers, advisors and collectors buy stock, spot trends and the auction houses make the majority of their profit because the works in these sales aren’t as competed for. So here’s where an auction house will fatten its margin or just make its operating costs. The big news of the weeks was that Sotheby’s day sale was down substantially to $54m. The New York Contemporary art day sale at Sotheby’s hasn’t been at that level since 2010. With such a striking pullback, what does the sale mean? And where did Christie’s and Phillips come out? Instead of looking at historical charts of the sales, we have some detailed analysis of each sale from Lisa Prosser who is the data guru at Athena Art Finance. Prosser’s infographics show some very interesting details about each of the sales. Sotheby’s day sale was never going to reach the levels of previous years. Whether that is because Sotheby’s made a strategic decision to focus on greater visibility for its Evening sale lots or the lack of manpower from recent staff loses made it harder to shepherd a substantial day sale, hitting the high end of the estimate range would still have given Sotheby’s a shortfall from the previous year. Sotheby’s also guaranteed seven of the day sale lots, an unusual practice borne out by the fact that three of those guaranteed lots sold below the low estimates. There was some good news in the day sale when a Calder mobile made a strong price almost twice the high estimate at $2.17m. 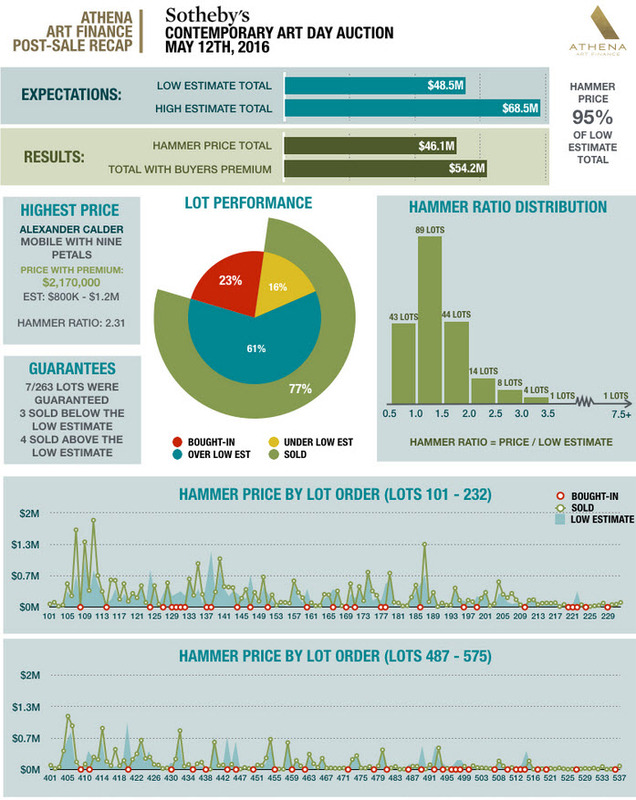 16% of the works were sold below the low estimates and a healthy 77% of the works found buyers. That suggests consignors were more than willing to stand their ground and try to get their minimum price privately. Last night, Sotheby’s made up for Monday’s dismal Impressionist and Modern evening sale (where 21 of the 62 lots went unsold) with a solid contemporary art sale that saw just two of the 44 lots fail to find buyers for a hammer total of $209.6m, squarely within the estimates of $201.4m and $257.5m. The sale’s total with premiums, $242.2m, was a far cry from last May’s total of $379.6m but these are different times. The evening saw no new records for artists and was led by a blue Cy Twombly blackboard work from 1968 that hammered for $32.5m with just one bid. The work carried no guarantee but seven of the other top ten lots did. "There's still plenty of money out there," said the dealer Emmanuel Di Donna, formerly worldwide vice-chairman of Impressionist and Modern art at Sotheby's. "It's just a matter of a readjustment." The top lots, he said, were not as strong, but the house had managed to smooth that out with guarantees, and put together a good sale with middle market lots. Matthew Paris of White Cube gallery, said that he too was impressed with the sale that Sotheby's had managed to put together in this market. "Both them and Christie's last night," he said, "really went to war for these lots." One bright spot in a series of auctions that showed much reduced market activity was a seemingly-new Japanese buyer on the international art scene. Yusaku Maezawa, the billionaire founder of the online fashion mall Zozotown, who last night bought Adrian Ghenie's Self Portrait as Vincent van Gogh (2012) for $2.6m and Christopher Wool's Untitled (1990) for $13.9m. Maezawa also revealed that he was the buyer of Jean-Michel Basquiat's 1982 canvas that sold for the top price at Christie's on Tuesday evening for $57.3m, as well as of Richard Prince's Runaway Nurse (2007) for $9.7m, both artists' records at auction. Maezawa runs the Contemporary Art Foundation in Tokyo. The highest value end of the real estate market has been a good measure of health of the art market for some time. Does that mean recent reports of excess inventory among New York’s new developments is a sign of lowering demand? Miller said new development inventory has dropped for three consecutive quarters. 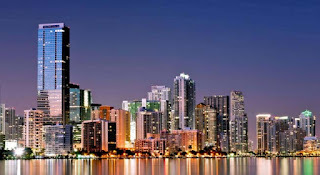 “That’s a tangible indication of when contract volume cooled off and when the market changed,” he said, adding that the cooldown coincided with a weakening U.S. dollar and more inventory in the high-end condo market (at least initially). 5. NEW YORK How Correlated Are Art Returns to Other Assets ? 6. Scott Reyburn moved up his normal publication schedule to offer a summation of last week’s sales. But the responses he got from market participants seem hard to parse. Take this from one art advisor who tells us that uncertainty isn’t the barrier to selling, it’s the lack of guarantees. “The market has definitely shrunk,” said Wendy Cromwell, an art adviser in New York. “But that isn’t a result of sellers not wanting to sell in an uncertain market, but of a lack of spectacular guarantees” that flush out the best works. “There’s a cause and effect,” she added, explaining the absence of big-ticket works in last week’s auctions. But guarantees only exist to removed risk—another term for uncertainty—from the sales equation. Reyburn and Cromwell don’t tell us what the real impediment is, if not uncertainty. Could it be that those who own art don’t need to sell at all? In other words, without a guarantee locking in a price too attractive to pass up, the sellers just aren’t selling. If that’s the case, it only further confirms that guarantees don’t inflate the market, they subsidize it. “There just isn’t the quality left out there any more. All the great pictures are in museums,” said the London dealer Alan Hobart, who was at Christie’s Impressionist and modern evening sale on May 12 to see a square 1919 Monet, once part of a rectangular waterlily canvas, sell for $27 million, the top Impressionist price of the week. A more likely scenario is that demand has narrowed. In 2007, there was broad demand for a variety of Impressionist and Modern works that were snapped up by emerging market buyers. Many of those buyers have had reversals of fortune and many others have migrated in their tastes. The Old Master and Impressionist markets seem to struggle not with quality, as we saw last year with three Modern works setting nine-figure prices, but with volume. The market structure gets truncated which seems to squelch demand. That in turn makes it difficult to attract supply to the market. Finally, there’s been great deal of chatter in the art market suggesting the May sales would have been a shock to the system without the $100m in purchased by Yusaku Maezawa. But others point out most of his purchases had underbidders, sometimes more than one. So the sales might have happened just at a slightly lower level. Josh Baer was also quick to point out in his newsletter this week that Maezawa bridles at the depiction of himself as a neophyte shopper. The chart above shows the last New York Contemporary evening sale where Christie’s and Sotheby’s were neck-and-neck in the fight for market share. It’s not clear what Cappellazzo means by a private equity decision. But since private equity deals are levered (meaning their financing is mostly in the forms of loans) and guarantees are not loans but full equity positions (to continue with the financial lexicon,) the metaphor seems to falter. What Cappellazzo seems to want to get across is the simpler idea that they won’t offer guarantees where they don’t see a way to profit, which is quite sensible. The Wall Street Journal has a story based on a new report from the National Association of Realtors that might give us a few clues about foreign spending in the US art market. There’s no direct correlation between art and real estate or art and luxury real estate. But the two markets have had a tendency to trade in similar patterns. 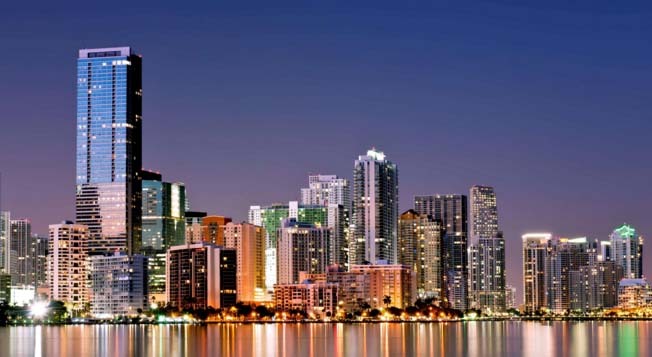 Anecdotally we know that there is a slowdown in buying in Manhattan and Miami at the very upper end of the range. There’s also been a big pull back in the art market above $10m.